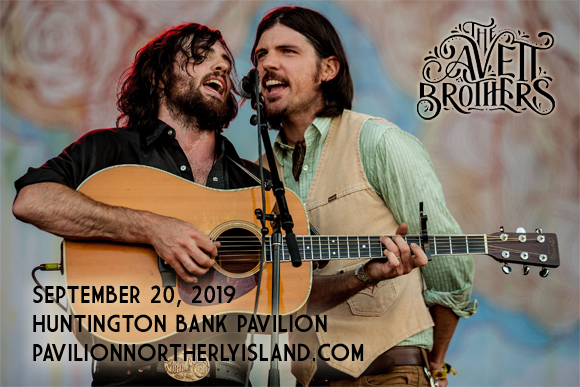 Gearing up for the release of their first album in three years, sibling-fronted North Carolina band The Avett Brothers comes to Huntington Bank Pavilion at Northerly Island on Friday 20th September 2019! The three-time Grammy-nominated group, whose genre-defying music is a heady mixture of gospel, folk, indie rock and Americana, are guaranteed to get your feet stomping and set your heart ablaze! American folk rock band The Avett Brothers hails from Concord, North Carolina and consists of siblings Scott Avett (banjo, lead vocals, guitar, piano, kick-drum) and Seth Avett (guitar, lead vocals, piano, hi-hat) along with Bob Crawford (double bass, electric bass, violin, backing vocals) and Joe Kwon (cello, backing vocals). The band was formed in 2000 as an acoustic side-project of the brothers' rock band, Nemo. Their first full-length album, Country Was, was released in 2001. In 2003, the band signed with Ramseur Records. Emotionalism, the group's fifth studio album, debuted at the top of the Billboard Top Heatseekers Albums chart and caught the eye of world-famous producer Rick Rubin, who subsequently signed The Avett Brothers to his American Recordings label. In 2009, they released their first album with the label, I and Love and You, which peaked at number 16 on the Billboard 200 best-selling albums chart, number 8 on the best-selling digital albums chart, number 7 on the rock albums chart, and number 1 on the folk albums chart, establishing their mainstream popularity. Since then, the band has released two more top five albums on the Billboard 200 and they have received three Grammy Award nominations. The band has an upcoming album due for release in 2019.